Revealed: Enron's brutal 'rank or yank' policy, and how employees could use cumulative frequency graphs to find out whether they were in the top 20% to be rewarded, or the bottom 20% to be fired. Energy company Enron was named 'America's Most Innovative Company' six years in a row. But its aggressive profit-making strategies pitted employees against one another. One of Enron's most brutal policies was known as "rank or yank." Angelina Lorio Former Enron employee – "With the ranking system there was 20% at the top, you would get excellent bonuses, you were rated, you know, really up there. But if you were ranked at the very, very bottom, which was lower 20%, then you were out the door – you were 'yanked'." 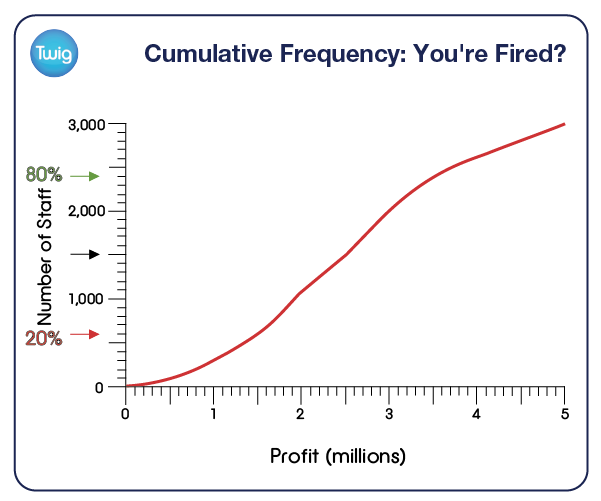 One way of finding out how employees rank against each other is to use a cumulative frequency graph. This table shows a hypothetical example of employees being ranked by the profit they made. Employees are grouped into sets according to how much profit they made. Cumulative frequency keeps a running tally of the total frequency up to the maximum profit of any given set. Because the data sets are added together, the values are 'cumulative'. When they are plotted on a graph, they give an s-shaped curve. This graph can be used to find out whether employees would be rewarded, or fired. "Every single year you had this to look forward to and it was the most stressful time. Because you wouldn't know whether you were going to have a job, or ... you know, you just didn't know." The total number of employees is 3,000. So employees could tell whether their performance was above average by finding the value of the median. In this case, the amount of profit made by the 1500th employee. So if, hypothetically, employees earned the company over $2.5 million, they were above average. By the same method, they could find the cut-off values for the top and bottom 20%. In this hypothetical example, 80%, or 2,400 employees, earned the company up to $3.5 million. Earn more than this and you would be rewarded. But if your earnings fell below the level of the 600 employees that made up the bottom 20% – bringing less than $1.5 million into the company – you would be fired. Of course, Enron employees were rated on more than just the revenue they generated for the company. But the rank or yank policy fostered a culture of extreme competitiveness and risk-taking. 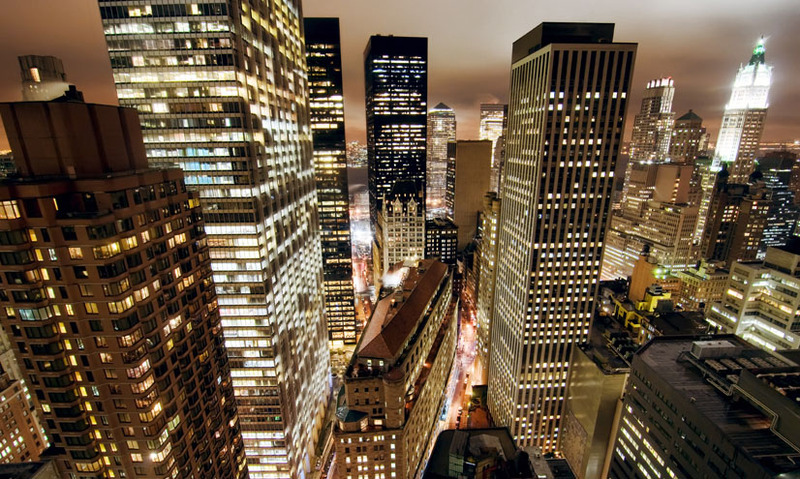 After years of success, Enron became fell victim to its own risky strategies. And in 2001, the company collapsed. Can Eating Fish Prevent Murder?